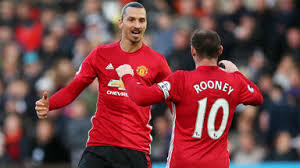 Following the Manchester United draw with Stoke City last Saturday where Wenye Rooney scored his 250th goal for his club Manchester United, making him the higher goal scorer for the club and highest away goal scorer with 88 goals, many haters of Manchester United start posting write-ups to spoil the happiness of Man U fans. Among these haters is Daniel Francis, and below is his post. Please noted that I am no Manchester United hater neither am I one of their fans. I am sharing this because of it's humorous nature. So if you are a Manchester United fan reading this, PLEASE do not take offense, just laugh over it. So once again, here is Daniel Francis write-up.